Scottsdale — The Specialized Cactus Cup Mountain Bike Stage Race will take place March 8-10, 2019. Over 1,000 bikers from across Arizona and the Southwest will gather at McDowell Mountain Regional Park in Fountain Hills, Arizona to celebrate this iconic spring event. 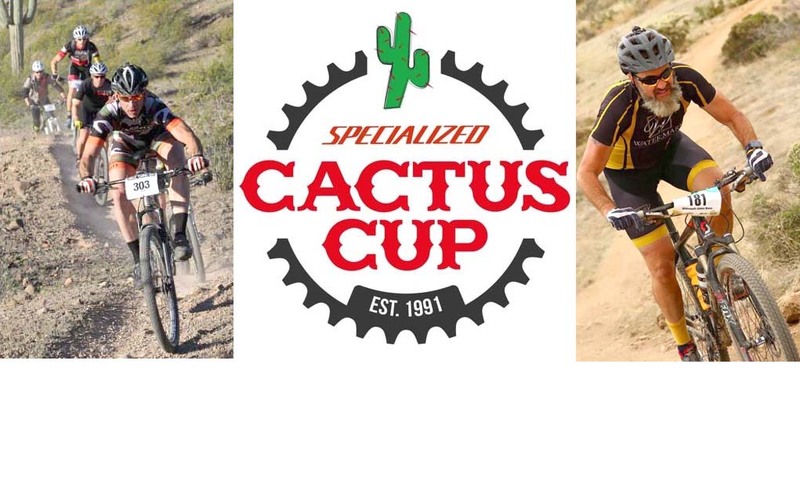 The 2019 Cactus Cup is sponsored by Specialized Bicycles (Specialized). Taking place over three days in March, the Cactus Cup includes three races for professionals, amateurs, and juniors. This is 3 days of racing to crack open the season featuring a Short Track, XC and Enduro event. To chase the Cactus Cup and capture the overall title, all 3 days of the stage race must be completed. James Bruce is an avid racer whose whole family races! James has been the coach for Cactus Shadows High School Mountain Biking team in Cave Creek for 6 years and is the winner of the State Championship. His team is named Watermark and is comprised of 70 kids valley wide including Brophy, Xavier, Boulder Creek and of course Cactus Shadows; from beginners to state champions.